Blending the lines of modern and traditional design is the Carrie Ann Collection. The warm cherry finish serves to highlight the raised parquet veneer pattern that graces the case goods and bed. Button-tufted dark brown bi-cast vinyl covers the headboard. 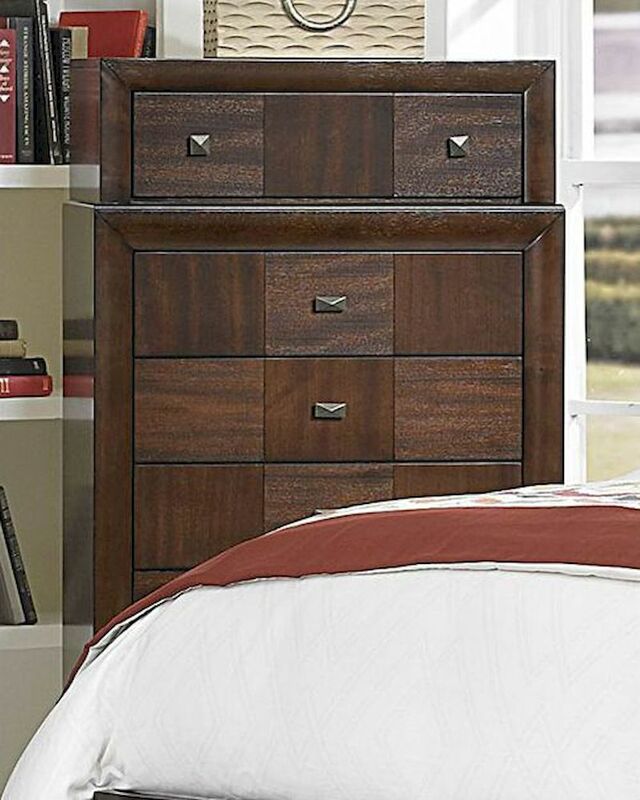 The unique chest-on-chest design of the case pieces, along with clipped corners of the headboard and mirror, add to the classic look of this bedroom offering.